The fiesta of colours and a feast of sweets, Holi 2019 is here, and people all across India are captivated with the most thrilling festivities. This year Holi will be celebrated on March 20 and March 21. 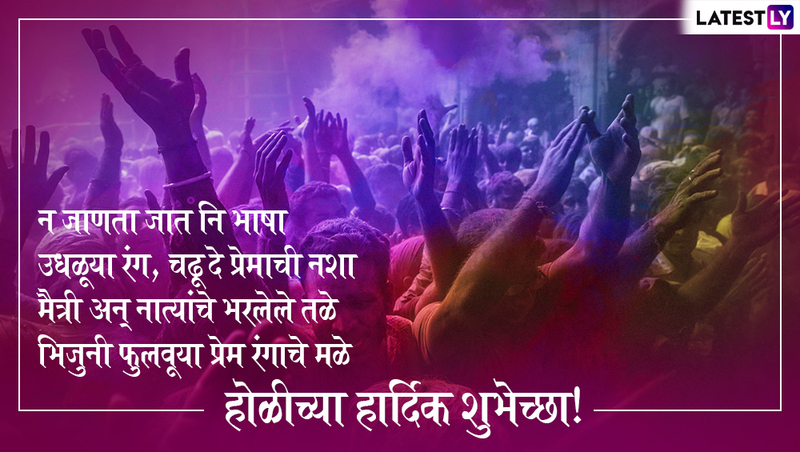 As a symbol of the triumph of good over evil, Holi 2019 marks the beginning of spring and is also observed to show gratitude for a good harvest. Individuals are all gearing up to get into the shoes to find the best ways of celebrating and wishing Happy Holi to their near and dear ones. The advent of technology has made it easier for all of us to wish our friends and families with loving Holi 2019 messages. 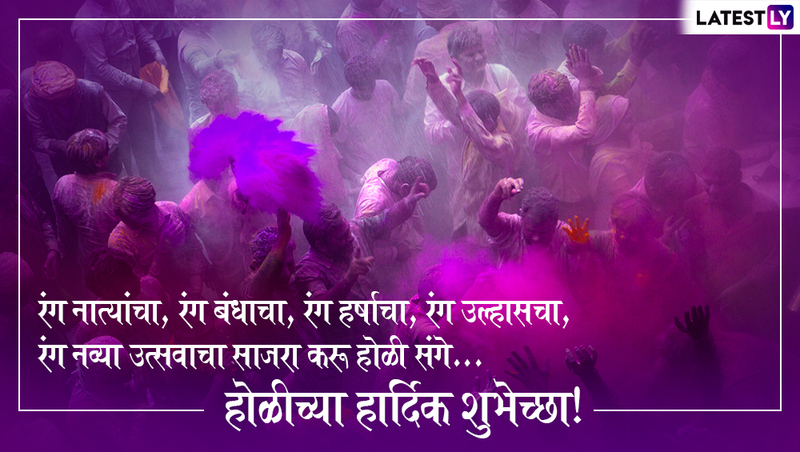 For the fun-filled occasion, we have gathered Happy Holi 2019 greetings in Marathi that you can share with your friends and family on March 20 and 21. Besides, these 2019 Marathi Dhulandi greetings, and images are also perfect for your WhatsApp Status, Facebook and Instagram messages. How NOT to Celebrate Holi This Year – A Guide. The first day of Holi is known as Chhoti Holi or Holika Dahan and the second is Rangwali Holi, Dhuleti, Dhulandi or Dhulivandan. Holi festival 2019 is a once-a-year event renowned for fun and ubiquitous colour powder. It is one of the best occasions to experience the nation at its happiest. As joyous the celebration is, wishing Happy Holi 2019 is also traditional to practice which has its amazing significance enhancing the various bonds we share with our closed ones. 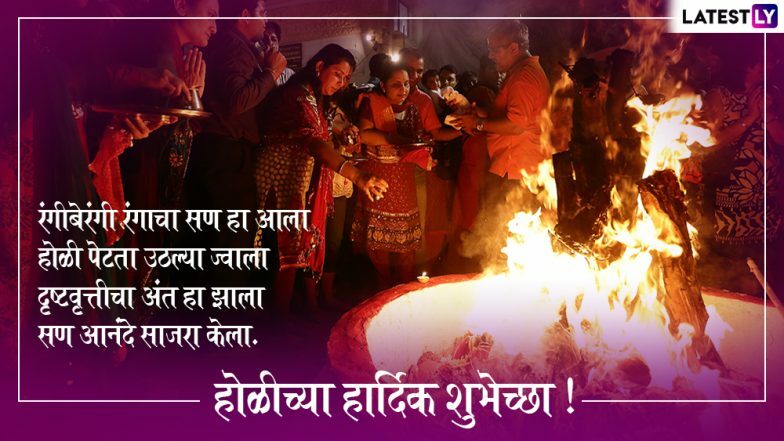 Below are the 2019 Happy Holi messages in Marathi for you to share with your friends and family. From Rang Barse to Balam Pichkari, Groove To These Old & New Bollywood Songs On The Festival Of Colours. WhatsApp Message Reads: Rang Natyacha, Rang Bandhacha, Rang Harshacha, Rang Ullhasacha, Rang Nvaya Utasavacha Sajara Karu Holi Sange, Holi Chya Hardik Shubhechha! WhatsApp Message Reads: Khamang Puranpoli cha aswad Ghenyasathi, Rangamadhe Rangun Janyasathi, Holi chya Dhuramadhe harun janyasathi, Pournimecha Chandra Ugavnyaaadhi, Holi Chya Hardik Shubhechha! WhatsApp Message Reads: Holi Sange Kerkachara Jalu, Zade Vachau an Kachara Hatau, Nisarg Rakshanachye Mahttva Patau, Holi Chya Harit Shubhechha! WhatsApp Message Reads: Rangberangi Rangancha San Aala, Holi Petata Uthalya Jwala, Drusht Vrutticha Ant ha Zala, San Aanade Sajara Kela, Holi Chya Hardik Shubhechha! WhatsApp Message Reads: Na Janata Jaat ni Bhasha, Udhaluya Rang, Chadu de Premachi Nasha, Maitri an Natyanche Bharlele Tale, Bhijun Fulvuya Prem Ranganche Male, Holi Chya Hardik Shubhechha! 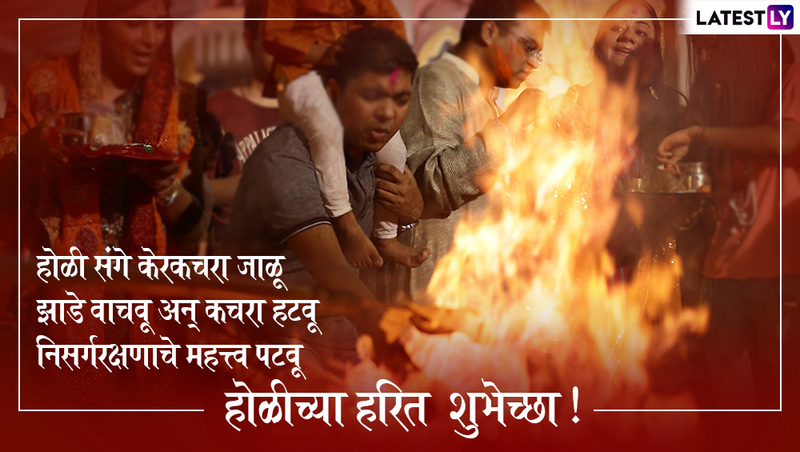 The above Holi 2019 wishes in Marathi are completely handy. You can download the Happy Holi 2019 images to share them with your friends, family and all the closed people through social media platforms. 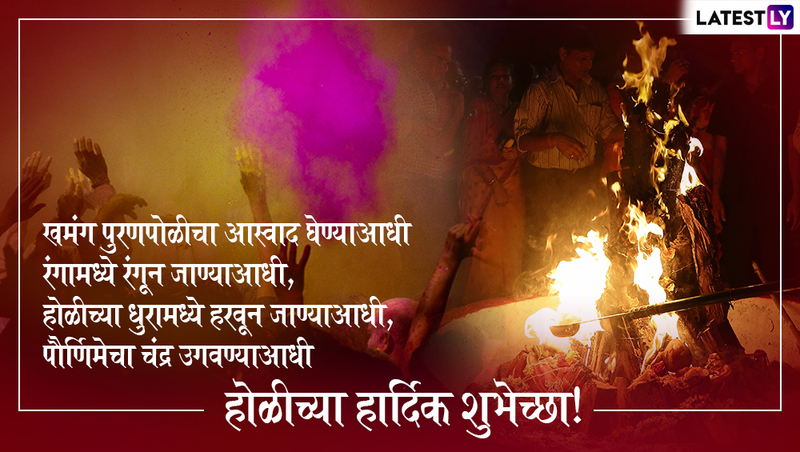 Holi is not just a festival to throw and play with colours, but it is also a day to remember your loved ones and spend quality time with them. Remove the trigger of bitterness and anger from your lives and spread as much love on the festival of colours. Happy Holi everyone!